Beautiful design with a touch of gold on upper chest area running all the way to the back. Lower part of dress covered with a see through veil. 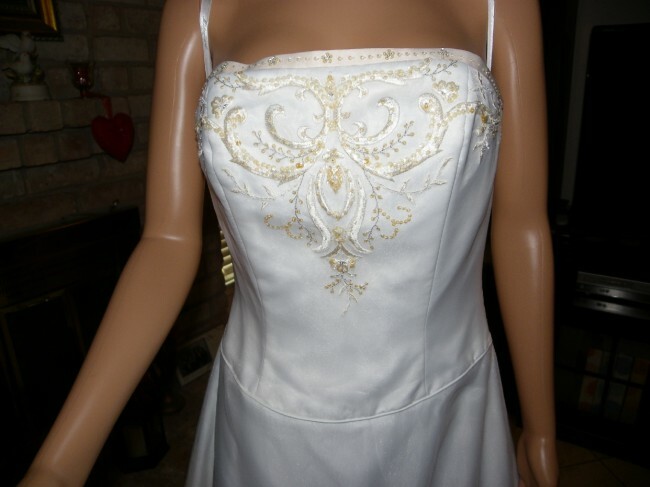 The veil on the lower part of the dress also has a beautiful design with a touch of gold. Once you send a message, Roman can invite you to purchase the dress.